Inhaltlich ist die App wirklich wahnsinnig gut und gefällt mir persönlich besser als Headspace. Nur ist die Watch App leider nicht funktional und quasi nutzlos. Ich würde gerne meine Meditation Sessions mit der Watch steuern können. You know with this app you will be able to find the calm in your mind no matter through how hard times you go. You will practice meditation which will make you understand deeper your condition in the world. Would it hurt for you to increase self-awareness? 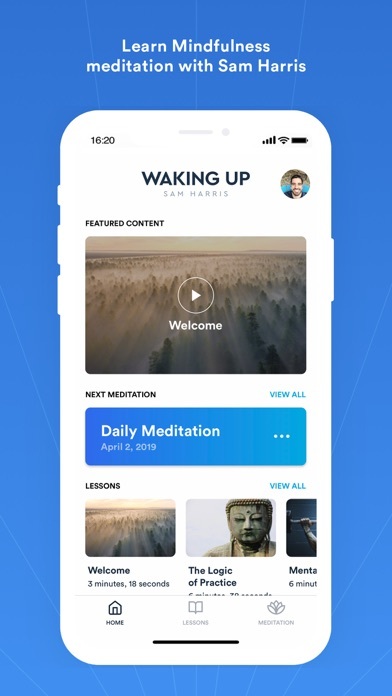 This is by far the best app for people who want to start/change/improve their meditation journey!! 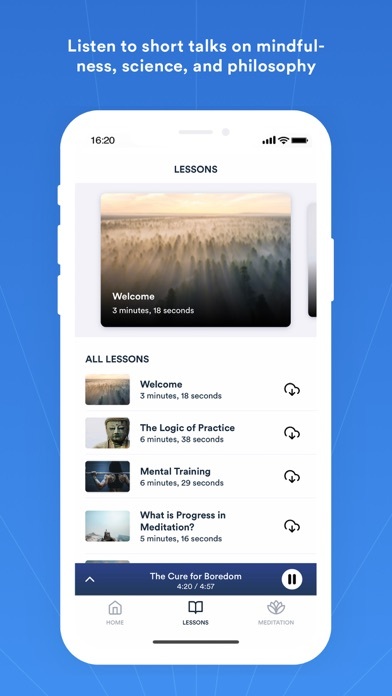 If you don’t feel like meditating you can always go to the very interesting lesson section!! Dies ist meine erste Meditations-App und ich liebe Sie! Seitdem ich mit der App meditiere habe ich ein neues Verständnis für mich und meine Umwelt und bin in der Lage sie neu zu sehen und zu genießen. Für mich ist es wichtig jeden „Tag“ zu meditieren, selbst wenn das heißt, dass ich erst um 03:00Uhr morgens meditiere. Für mich ein voller Erfolg! Smooth voice and nice to listen to - as long as you don’t understand Harris’ suggestions: he is suggesting that there is no self and no free will. Thinking that way can easily lead to nihilism. Neither psychology nor neurobiology science is supporting Harris’ point of view. On the contrary: self and free will should be strengthened by understanding the subconscious mind and therefore enable the individual to become conscious of subconscious mechanisms, which block the free will. Only living up to your “self” and therefore support your identity can lead to a healthy life and a neurobiologically well functioning mind. 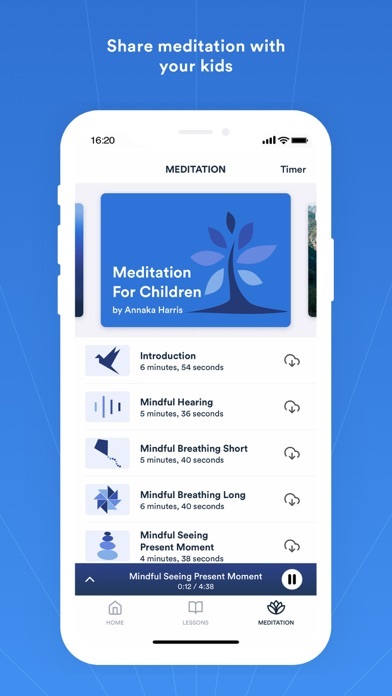 Auch wenn seine Stimme angenehm ist und mir geholfen hat, meine Motivation zur Meditation zu finden, so beruht die ganze App doch auf destruktiven Annahmen. Sam Harris suggeriert, dass es weder ein Selbst noch einen freien Willen gibt. Beides sind Annahmen, die leicht zu Nihilismus führen können. In der Psychologie und der Neurobiologie wird daher genau das Gegenteil angestrebt: Gesund wäre es, das Selbst zu stärken, das Unterbewusstsein zu verstehen und damit seine Identität mit vollem Bewusstsein leben zu können. Words cannot describe this app as I am sure it impacts people in a different way. Sam, thank you ! I have had experience meditating for many years and lost the routine when it was most needed. 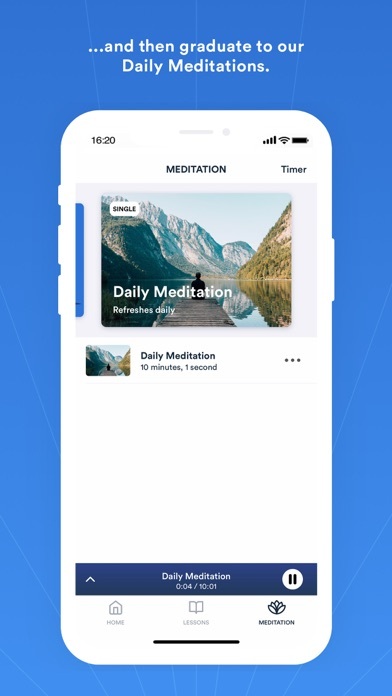 This app has helped to firstly get back to a meditation routine and secondly brought inside to techniques that I previously hadn’t used. Can only recommend, for beginners and more experienced both. Can’t emphasize enough how much I’d want everybody to use this app! So much gratitude for Sam and everybody that was involved creating this app. 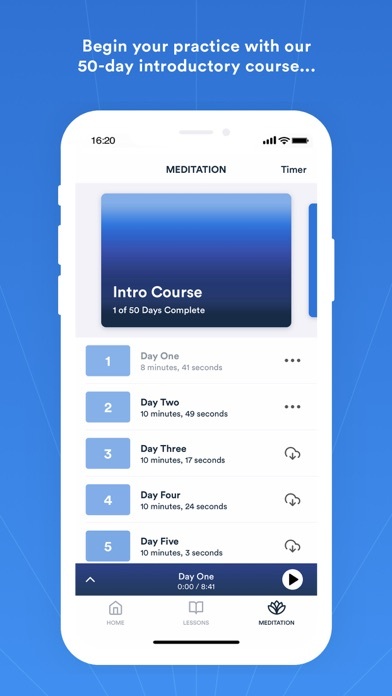 I have tried meditation apps before and never was able to stick with them. As a Sam Harris listener, I wanted to try it out and it completely blew away my expectations. To my own surprise I have made meditation a habit and have been doing everyday for 3 months. Highly recommended! Great meditation course. Sam makes it easy for you to dive in. It’s totally worth every penny. We don’t think twice about spending 30 to 50 euro on one night of drinking but paying anything more than one euro for an app seems outlandish. The 14,99 that you will pay every month for this app is worth every penny. Auch ich habe schon einige dieser Apps hinter mir. Viele waren auch gut, aber diese hier ist für mich die beste. Klarer Aufbau, eine sehr angenehme Stimme und eine schöne bildliche Sprache. Zusätzlicher Inhalt, neben den täglichen Übungen runden das Programm ab und bereichern gerne mal. An dieser Stelle ist durchaus auch sein Buch mit dem gleichnamigen Titel zu empfehlen, für mehr Hintergründe- nicht zu letzt über Sam Harris selbst.